Patriot Insurance Agencies has been around for years and plans to be around for the very long future. We understand that having insurance on a business is an essential part of doing commerce. We always find business owners the policy they need to stay protected in the daily operation of your business. It is because of our reputation and experience in the insurance industry that we are able to acquire the best policies for our business owners. Need general liability business insurance? Look no further, we are your source. Even commercial business owners can rely on Patriot Insurance Agencies to find them the best policies at the right cost. We know that federal regulations mandate strict guidelines for commercial motor carriers to carry inflated insurance policies in case of an accident. Let us find and discover the policy that will keep you and all other motorists safe and secure. 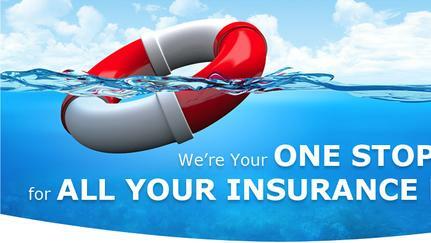 In Charlotte, business insurance is provided capable and reliably by the professionals at Patriot Insurance Agencies. Running your own company takes a lot of focus and energy, and you don’t want your efforts going to waste because of disputes that could cost you a significant amount of money. We’re here to make sure that you can run your company without worry. Businesses are as diverse as individuals, so their coverage needs to be specifically customized. Whether you’re running a hot dog stand on the corner or a thriving computer repair company, you need to be protected. The experts at Patriot Insurance Agencies know how to get the information they need so your coverage can fit your unique needs. If you need business insurance in Charlotte, Concord, Monroe, Kannapolis or Salisbury area, you can always depend on the team at Patriot Insurance Agencies to provide it for you. We’ll go over everything carefully with you, making sure that you understand what you need and what you’re getting.